- try sticking it absorbs light, do not have something hidden. - the more light absorbed, the longer! 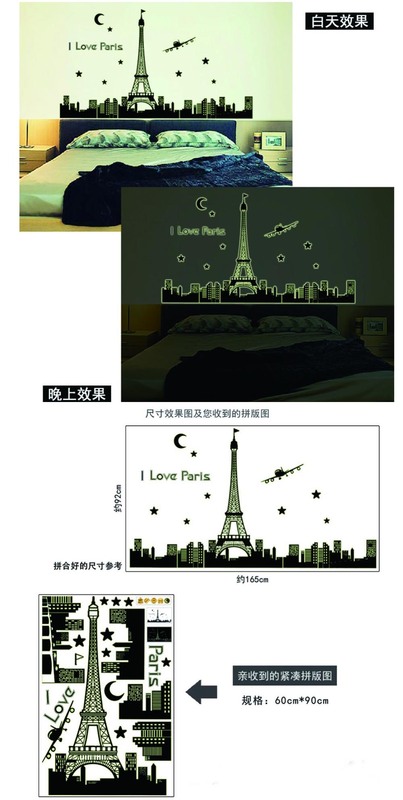 Second-generation color wall stickers on the back comes with plastic, without the use of transfer film, paste, convenient, water temperature, anti steam, not afraid of damp, paste peeled off without leaving adhesive residue after and difficult to tear. Can be attached to walls, cabinets, furniture, tiles, doors, windows and other smooth surfaces. 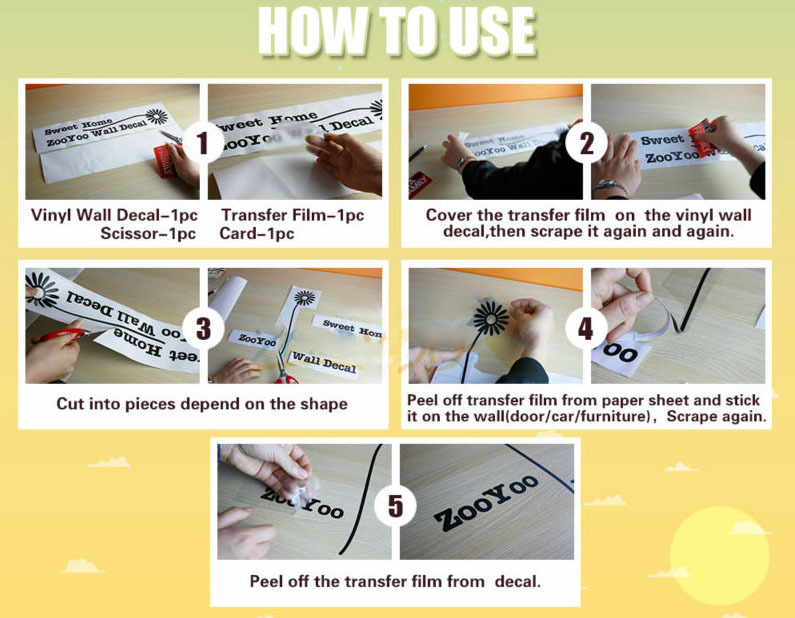 Note: When you ready to transfer the wall stickers, pls prepare scissor and card. so you can put the sticker to the wall successfully.